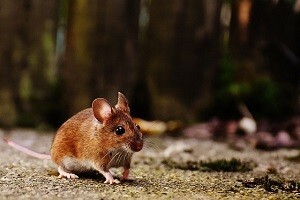 If you live in a highly urban area, it is likely you’ve seen a mouse or rat running around most every night. This rings especially true if you travel through alleyways, or park your car in one. In most cases, they’re harmless and will run away at the sound and/or sight of you. However, your car doesn’t scare them as much as you do. It sits idly by as rodents gather underneath it, or, sadly enough, climb up within your vehicle. You don’t have to live in an urban area for this to occur, either. If there is a nest of mice in a bush near your house or driveway, they can very easily find their way to your car. Not only can these critters inflict severe damage to the innards of your automobile by chewing through wires, but they can also choose to set up shop there too. We’re here to provide some tips on how to keep that from happening. There are things you likely have in your home or apartment that can help deter rodents from taking up residence in your car, and you might not even realize it. Due to their keen sense of smell, things such as soap or dryer sheets can be utilized to keep them away. When it comes to soap, you can rub it along possible entry areas or attach bits of soap with wire to places where the vehicle does not get hot. The same goes with dryer sheets. Wrapping them in places where it is safe to do so will help keep your car rodent free. Chemical repellents can be used as well, and these come in sprays or granules from a variety of brands. The thing to be wary of with soap and dryer sheets is that these items eventually wear down and lose their scent, so it is important to stay on top of their application. This one is as old as the night is young. Traps have been used for more than a century to rid people of their rodent woes, and these days are no different. There are larger box traps that capture more than one mouse or rat at a time that can be set out, in addition to sticky traps and snap traps. These traps provide physical evidence of their effectiveness, so if you don’t want to see a dead rodent then this method is likely not for you. For snap traps and sticky traps, place them at the top of your tires, as this is a common entry point. Box traps can be placed in the vicinity of your automobile, especially if you live in an urban area. Those who park near you might just thank you for setting out box traps too, as they are likely experiencing the same issues. Keep in mind that humane traps also exist, which provides a friendly alternative to those who would rather not have the little guys killed. While these methods will not prove 100% effective in all cases, they can save you from having to deal with the hassle of getting your car repaired because rodents decided to munch on the wires of your sedan. The most important tip is to stay on top of all of these methods so that they can be as impactful as possible. However, if you find your rodent problem is getting incredibly out of hand, be sure to call us at 978.388.4589. We’ll help you out in the best way we know how! As the temperatures begin to drop, the cold weather begins to force unwanted rodents indoors. The problems that many people in the Northeast tend to run into are the smaller, cuter mice that can sneak through the tiniest of cracks and intrude your home. The last thing you want is a tiny scurrying mouse running across your dining room floor as your family sits down for Thanksgiving or Christmas dinner. One reason mice pare a tough pest control problem is because of their small size. All they need is a quarter-inch gap to gain entry into your home and require only miniscule amounts of food and water to survive. 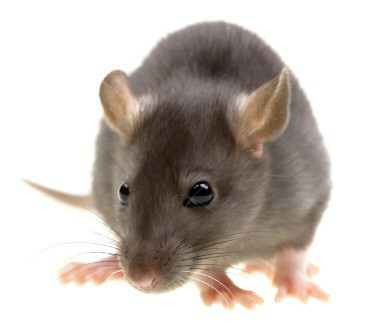 As a result, mouse infestations are much more common and difficult to control than rat infestations. Mice infestations are also every bit as hazardous to health and property. Mice eat and contaminate human and pet foods, preferring grains but apparently willing to nibble on almost anything, including your valuables or memory-filled photo albums. Mark sure that your house is secure before the temperatures begin to plummet and force the mine inside. Call Absolut Pest Control today to come take a look at your home or business and find the areas in your house that are vulnerable.